Inlaid tile “rugs” are having a moment, popping up as a stylish and unexpected design element in new and renovated homes. Wide planks and blond wood are also taking flooring to a new level. Here’s a brief look at each of them. What is a tile rug? It’s literally a rug made of tiles that is inlaid into the existing flooring. And like rugs made of material, they come in countless styles, patterns and sizes, and work with any décor. Why choose tile rather than a traditional rug? Where are the best places to put one? What kind of look do wide planks provide? Which woods are typically used? “Most of the flooring we use is either red or white oak,” Fixler says. 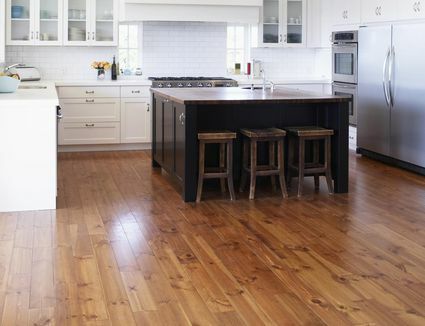 Which rooms are most popular for wide-plank flooring? What type of blond floors are homeowners asking for? 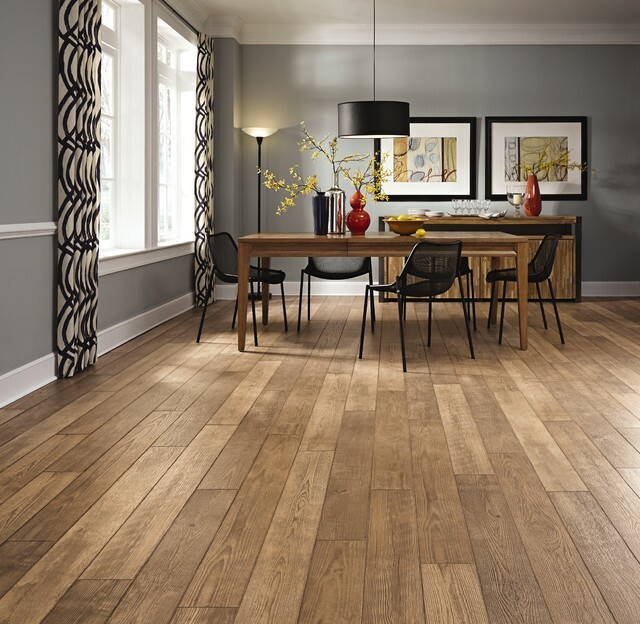 “We see more demand for either a natural wood floor or a custom stain with a light tint of gray,” Fixler says. Is the finish usually matte? For a more natural look, floors are typically done in a matte or low-gloss finish. What‘s one advantage that blond flooring has over dark flooring? Need a way to keep track of all your product selections during your next home project? HomeOnTrack has you covered — Learn How!